Christmas is in the air! We absolutely love entertaining during the silly season. Here are some amazing pieces from Minimax that are the perfect addition when hosting during the festivities. This champagne bucket is a sophisticated addition and adds a real touch of glamour to events. 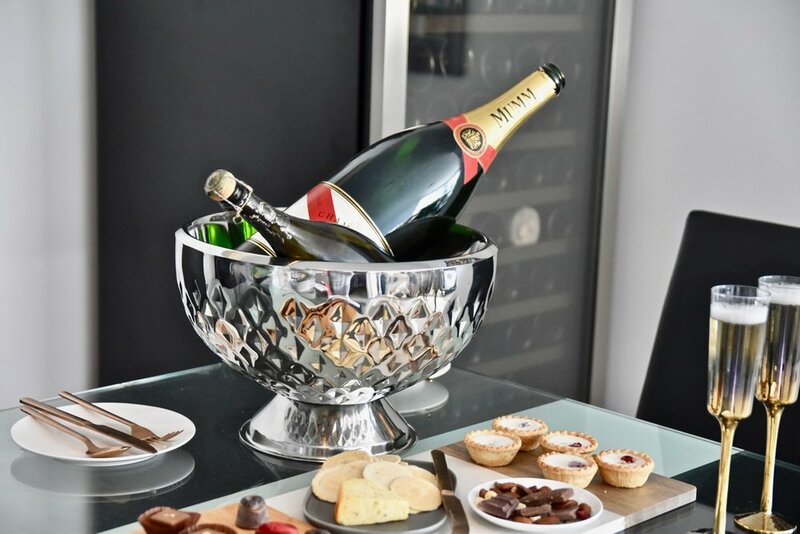 Its generous proportions gives it real gravitas and also means it comfortably fits that jeroboam of champagne you've been waiting to pull out. We loved that the bucket itself is relatively light which makes it very easy to store. Nothing screams celebration more than a glass of champagne! Nel Lusso champagne flutes takes this experience to the next level. Tall, elegant with the most stunning golden base, these hand blown pieces are stunning to hold and feel exquisite. Find out more about Minimax here.